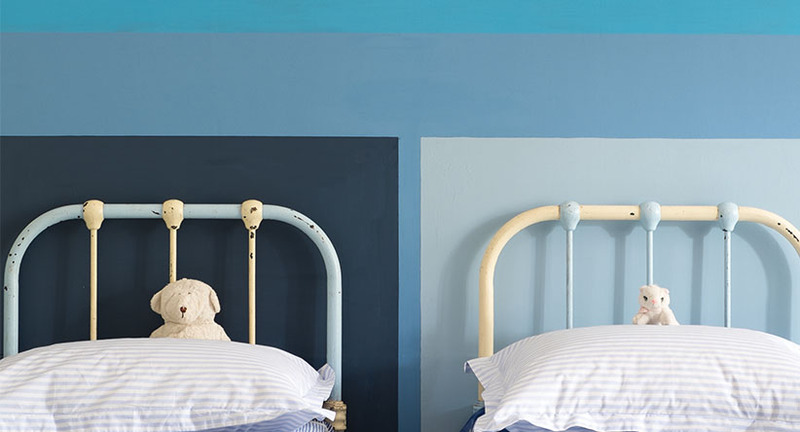 Choosing the right colour for a nursery is an exciting process, but is one that you may feel needs lots of consideration. Like many parents, you may want a scheme that both you and your little ones can enjoy for years to come. Generally speaking soft, fresh shades on larger spaces will create a calm environment, while accents of brighter colours will add interest and excitement for babies and younger children. For a room that will be appropriate for both little boys and girls try the soft, green blue Pale Powder with its beautiful watery feel. When contrasted with a soft white like Pointing it will be baby fresh but still warm. Accents of Teresa’s Green or Green Blue on the woodwork will create interest and fun. 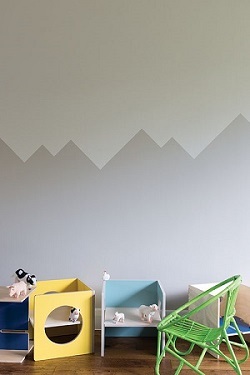 For a girly yet sophisticated nursery retreat, Great White is the perfect choice. Its underlying pink and purple hues give soft colour without being too sugary. Try pairing Great White on walls with Middleton Pink on the floor to create a charming scheme that’s not too sweet. 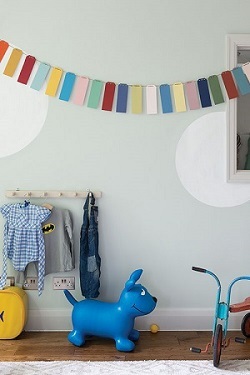 Add interest to the nursery by painting furniture a bolder colour like Brinjal or Cinder Rose. Yellow is always a firm favourite for nurseries, Ringwold Ground and Tallow stripes on the walls with Wimborne White on woodwork and ceiling will create an uplifting, light reflective room. To add a little gravitas use the rich London Clay as an accent colour on furniture. 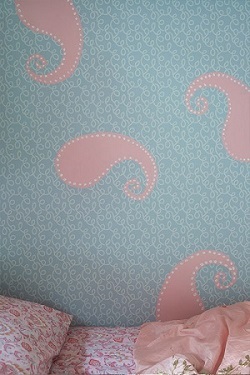 Using wallpaper in nurseries can help to create both a calming and elegant feel. Vermicelli has a playful pattern and is available in soft and calming colourways. Its detailed pattern is great for capturing the attention of young babies and helping to lull them off to sleep. Bumble Bee or Brockhampton Star both use metallic colours and when used on the ceiling emulates twinkling stars.